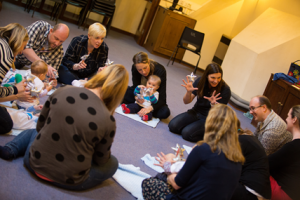 Musical Bumps Classes offer the very best for your child! This is because we understand how children learn, we choose the very best music available and we provide age-appropriate activities. Below, you’ll find our range of classes for families to bring their children along – if you are looking for support at your school, nursery or children’s centre, then please go to the Schools and Nurseries page. A lovely and gentle class for you to enjoy with your baby from birth to their 1st birthday. Find out more. 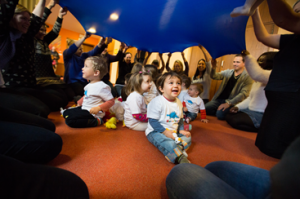 A lively class for children from 12months. Action songs and lots of percussion and puppets! Find out more. 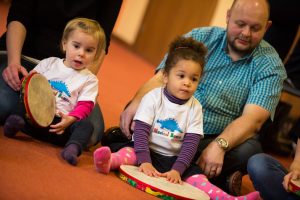 Watch your two year old learn as they play – an interactive class full of fun and new musical ideas. Find out more. 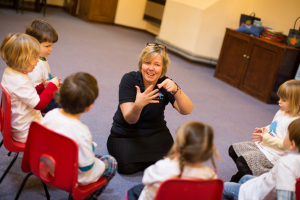 Children will develop their singing voices, begin to learn about musical notation and enjoy a more complex range of percussion. Find out more. 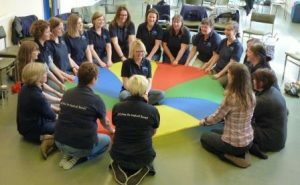 Musical Bumps teachers are always happy to deliver sessions for children with additional needs. These can be one-to-one or in small groups. Find out more. Our teachers can visit your home for small groups or one-to-one sessions. These can be one-off celebrations, or regular visits. Find out more.